To an ambitious young girl, the dusty plains of West Texas must have looked like Hell's Back 40. In fact, according to blues singer Angela Strehli, it was easy to feel culturally deprived in the rural town of Lubbock (birthplace of Buddy Holly), tucked deep in the Texas panhandle. "It was a town that contributed a lot to my creativity," says Strehli, 59, who passed the days hanging out at the Hi-Dee-Ho drive-in, scarfing tater tots and cold soft drinks. "After all, there was nothing to do in town, and music was the only thing that could fill the vacuum." Salvation came in the guise of late-night radio and the torrid blues of Muddy Waters, Z. Z. Hill and others broadcast from Shreveport, Nashville and Del Rio, the Mexican border town that was home to DJ Wolfman Jack and recently immortalized on the Los Super Seven CD Heard It on the X. She took up bass and harmonica--and dreamed about grander vistas. Her blues epiphany came while attending a black church service, inspiring Strehli to become a blues singer. 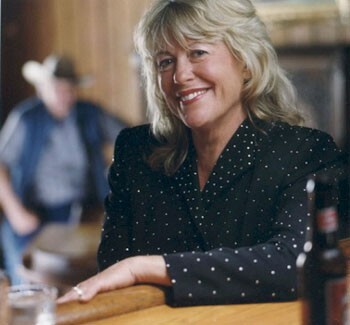 These days, she has fashioned a respected career and, along with husband Bob Brown, owns the West Marin roadhouse Rancho Nicasio. She will mark the venue's seventh anniversary and her 60th birthday on Nov. 17 by hosting a blues showcase that also features Maria Muldaur, Marcia Ball, Tracy Nelson, Annie Sampson, Linda Tillery and Sista Monica Parker. The gutsy Strehli and the lanky, ex-Louisiana cheerleader-turned-barrelhouse-pianist Ball go back a long way. In 1990, the two longtime friends joined singer Lou Ann Barton for the critically acclaimed trio album Dreams Come True. That album showcases Strehli's own gospel-fired chops, which can be heard on "It Hurts to Be in Love," a piano-powered duet with Ball. Strehli, widely regarded as both a gifted singer and savvy blues historian, emerged from the same progressive-country pool that spawned Jimmie Dale Gilmore, Joe Ely and Lyle Lovett. In 1967, she took her first tentative steps into the limelight in an obscure San Francisco psychedelic blues band. After returning to Austin, the epicenter for long-haired country music, she went to work as the stage manager at blues impresario Clifton Antone's eponymous nightclub, a legendary nightspot that staged major touring acts and nurtured such local talent as the Fabulous Thunderbirds and guitarists Stevie Ray and Jimmie Vaughan. "It was like blues college," she recalls. In 1985, she helped start Antone's record label. Her 1986 solo debut, Stranger Blues, was one of the label's first releases. She went on to serve as the now-defunct label's "spiritual leader" and helped to sign new acts. Her rollicking 1987 album Soul Shake remains a classic example of straight-ahead powerhouse Texas blues rock. Since purchasing the roadhouse, Strehli's career has slowed somewhat, though she has continued to perform occasionally onstage. The recent Blue Highway (M.C. ), her first studio album in seven years, finds her in top form, winning rave reviews and teaming up with Ball and Muldaur on the title track. The album's closing track captures Strehli and Stevie Ray Vaughan in a blistering live show recorded at the guitarist's triumphant 1985 performance at Carnegie Hall. Clearly, this blues dreamer has come a long way from Hell's Back 40. Rancho Nicasio's seventh anniversary show takes place on Thursday, Nov. 17, at 8:30pm. $35. The following night, Strehli performs with the Blues Broads 2005, featuring Marcia Ball and Tracy Nelson. 8:30pm. $18-$20. Rancho Nicasio, on the square, Nicasio. 415.662.2219.